Cider, also called Hard Cider, is a fermented beverage made from pressed apples. Cider is another old beverage, made from a fruit that humans have had along their journey for thousands of years. While many varieties of apple have been on the picking list over the millennia, there are still more than 7500 types of apples being grown somewhere in the world today! Cider is made all over the world, and cider consumption is much higher in countries outside the United States. Britain, France and Spain have notable cider culture and make styles renowned for their distinction. Cider is typically made from the juice of fresh pressed apples, commonly known as sweet cider. Other juices, including concentrates are also used to make some brands of cider. Typically a blend of apples are used to achieve complexity in the juice fermented into cider. There are types of apples, cider apples, that are not grown for eating. These apples are typically much more bitter, acidic, tannic and tart than their dessert apple siblings. When blended together cider and dessert apples can be used to create many different expressions of cider. The fermentation of cider is typically done with cultured yeasts, but some cider-makers also allow for wild and spontaneous ferments to occur as well. Cider comes in many styles with new variations being debuted each new cider season. Explore the sections below to learn more about different styles of cider you can enjoy. For tips and information on making mead visit our Cidermaking page. Fruited ciders are those that are made with other fruits, added either during or after the fermentation. Some fruits pair so beautifully with apple that variations containing them are very common. Cherries, pears and quince are just three that you may see as part of a craft cider. Fruited ciders should express both apple and the added fruits in a harmonious balance. The best versions will smell and taste like all the ingredients and be oh so pleasant to consume. Spiced ciders are those that are flavored with spices, herbs or other non-fruit flavorings. You can imagine many combinations of apples and spices, especially from foods like classic apple pie or seasonal favorites like mulled cider and candied apples. And you can also imagine some interesting frontiers that the most only the most mad cidermakers would charge into! Specialty ciders is a group of cider variations that don’t quite fit anywhere else, but are notable for the different experience they offer. Single Varietal Cider – These are ciders that are made with one variety of apple. Few apples produce a great cider on their own, but ones that do can lead to very interesting results. Ice Cider – Ice ciders are made from intentionally frozen fruit or pressed cider that is freeze concentrated before fermentation. The result is much more like a dessert wine, with the freezing action concentrating the sugar, acid AND flavor of the apples. Divine! New England Cider – A somewhat unique sub-class of cider, New England style ciders are those made with additional sugars and/or raisins, and that may also see some wood aging. 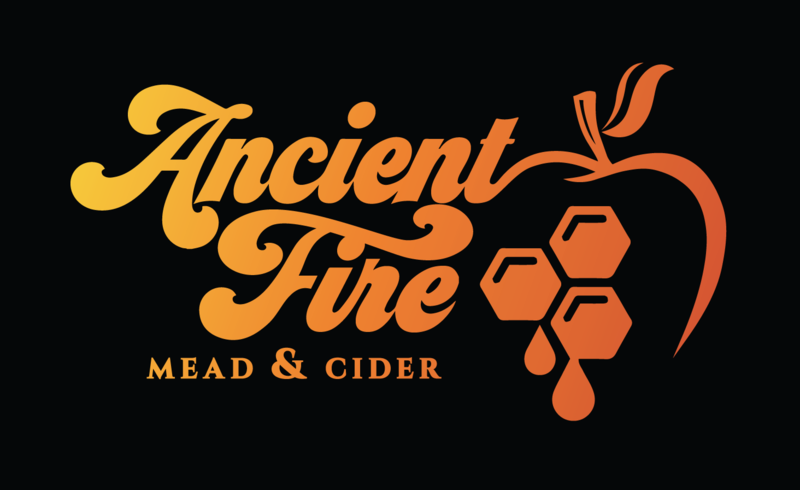 Ancient Fire will be making a variation of this style each year for special release during our winter season in New England. Perry – Perry is a cider-like drink made from pears rather than apples. Perry is not very common so finding even one commercial example is not frequent in most markets. Wood aging cider can add dimension and complexity not found in the cider alone. Like many other special processes for making fermented beverages, the expression of the wood, and any spirits that may have been aged in the wood previously, should be well balanced and harmonious. Cider can be aged in barrels, and even those that have already been used to age other wines or spirits, or adjuncts like chips, cubes, spirals or staves may be added to the aging vessel and allowed enough contact time to impart the desired character. Most cider is relatively low in alcohol (5-8% ABV) and served cold and carbonated. That makes a pint glass a great vessel for enjoying draft cider. Cans are a very popular to-go format for cider, although plenty of ciders are still bottled for sale at beverage shops and grocery stores. Wine-style ciders, ice ciders or other that have unique attributes may be best enjoyed in different glassware and at cellar, rather than refrigerator, temperatures.